There are two primary methods of turning off Ok Google on your device. One option — perhaps the more obvious one — doesn't actually stop your phone from listening for commands; it only prevents it from reacting to them. The other does fully prevent listening, but also removes other device functionality you might want to keep. Neither option is perfect — you'll have to decide which is right for you based on your wants. There are steps you can take that seem like they should make Google stop listening, but that isn't really the case. 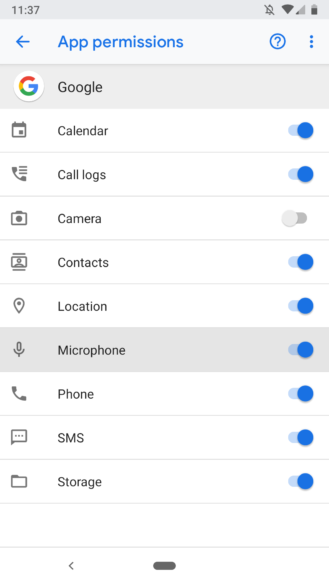 In the Google app's settings, there are options to turn off Voice Match — a feature that lets your phone react to "Ok Google" commands even when the screen is off — and even to disable the Google Assistant entirely. 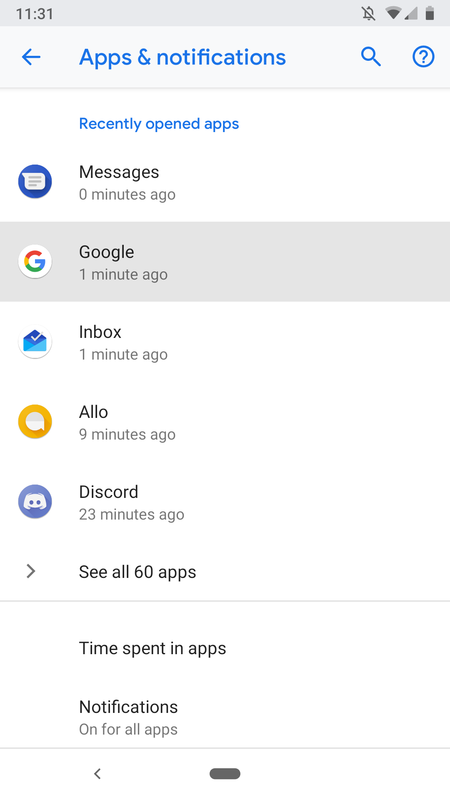 To get to those options, from the Google app, tap the icon on the bottom row that's three horizontal lines, then Settings. 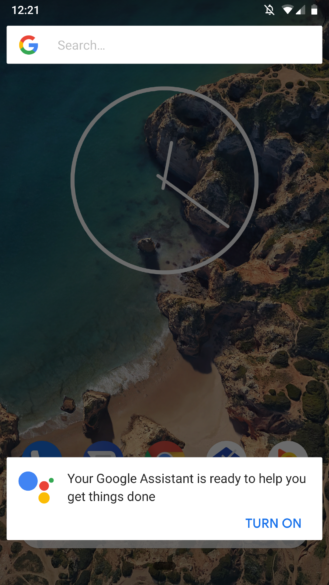 On the next screen, under Google Assistant, you'll have to hit Settings again. Down the screen a ways, under Devices, tap Phone. 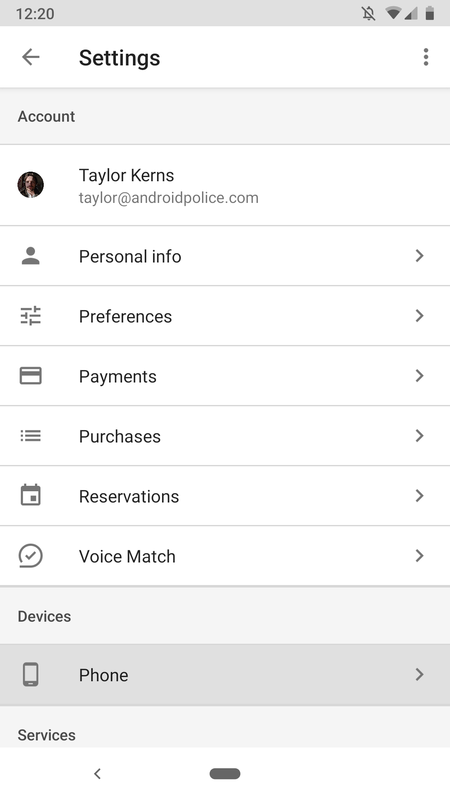 You'll see the option to turn off Access with Voice Match, which is the feature that's always listening for "Ok Google." With Voice Match turned off, voice commands still work, but only on your device's home screen. 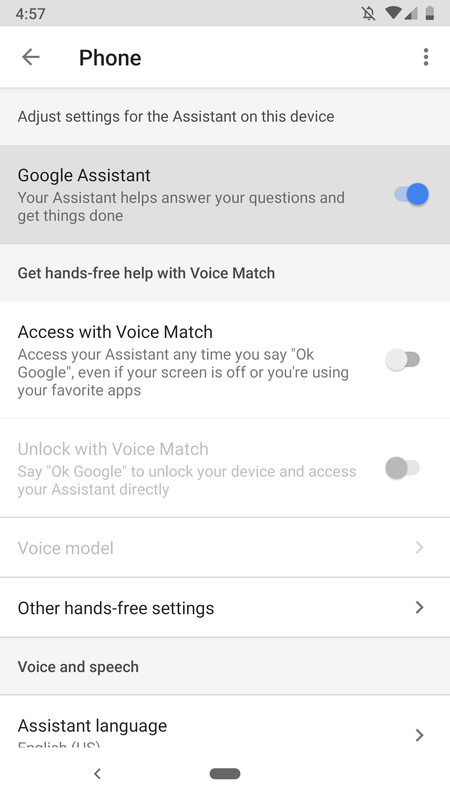 If you want to go a step further, you can disable the Google Assistant altogether, but this will also disable accessing its functionality by any means (not just voice). If either of these toggles were on before, though, your phone still reacts to "Ok Google" the first few times you say it after turning them off by asking if you'd like to switch either Google Assistant or Voice Match back on (as you see above). It's still listening without being prompted to. Making matters more needlessly complicated, these same settings can be accessed from your phone's settings menu and the Google Home app. Toggling them from any of those locations toggles them in all of them. 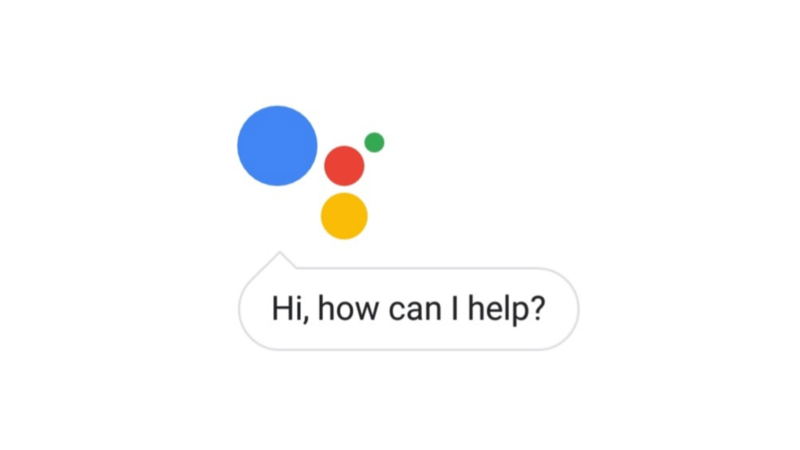 If you're just tired of your phone lighting up when you try to ask your Google Home a question, this method might be fine for you. If your concern is more privacy-focused, though, it's probably not enough. 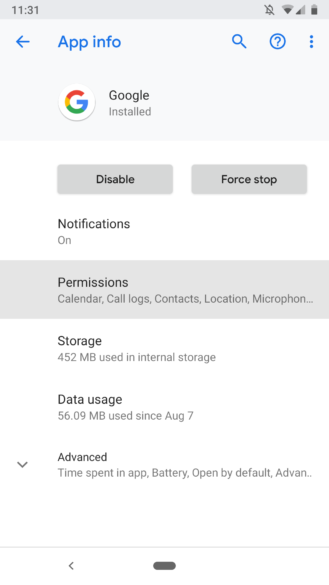 There's only one way to completely stop Google from monitoring your phone's microphone activity: revoke the app's microphone permission. 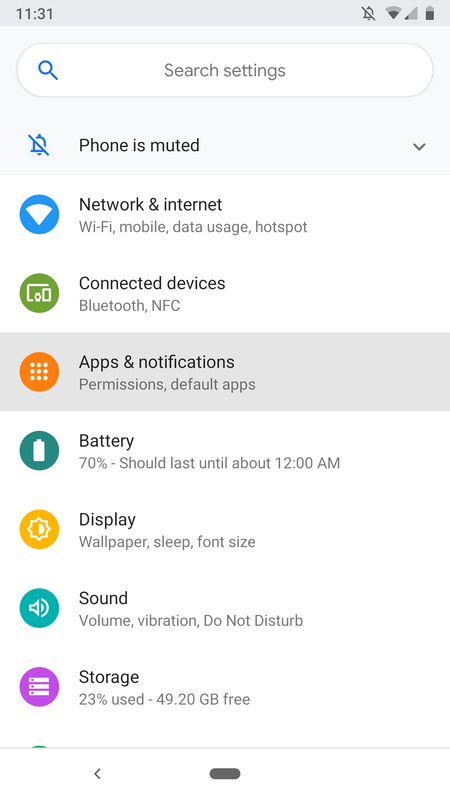 Fire up your settings app, either from the Settings icon in your app drawer or the little gear in the corner of the quick settings panel. 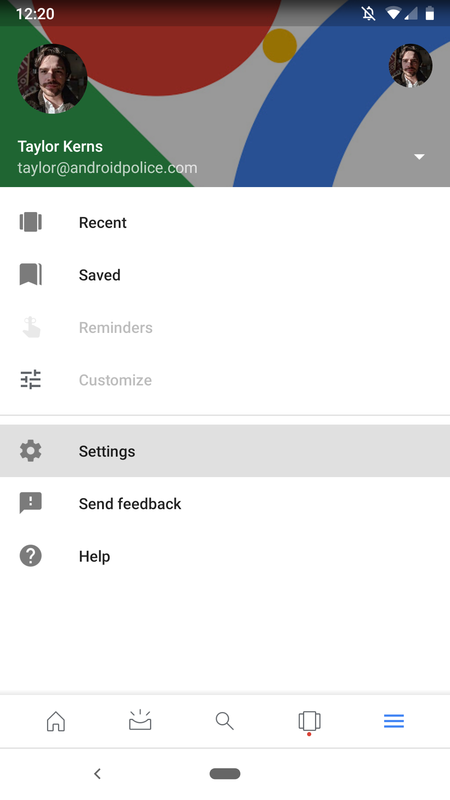 (Settings menus vary between manufacturers, but they're generally fairly similar; these instructions apply specifically to Pixel devices.) From there, tap Apps & notifications, then select Google — it'll probably be near the top of the list, but if it isn't, you can search for it with the magnifying glass in the corner. 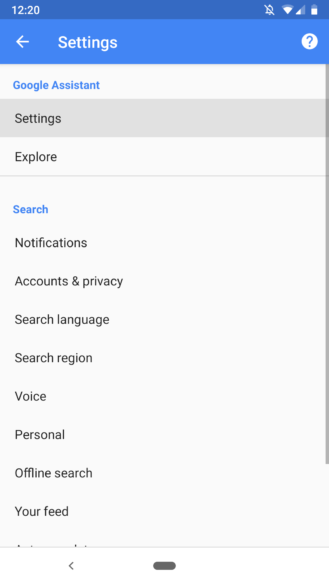 Once you're on the App info screen for Google, tap Permissions. 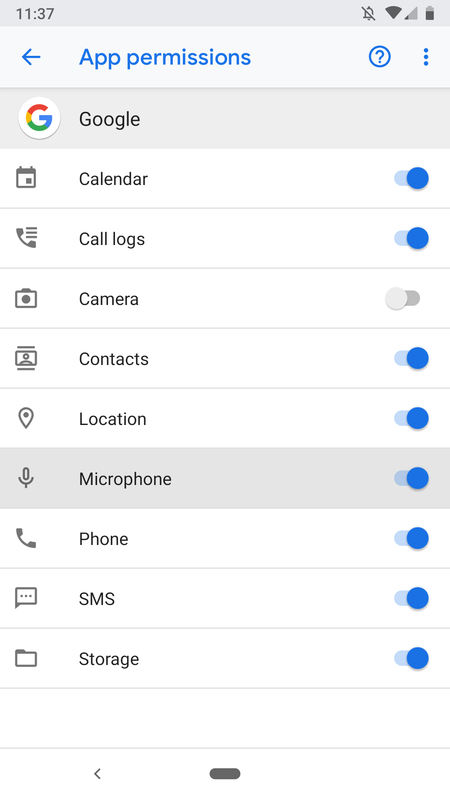 Hit the toggle switch next to Microphone, then Deny anyway on the warning popup, and voilà — Google can't hear you anymore. Should you have to give up "basic features of your device" to stop it from listening at all times? Now, there are a couple of problems with this. One, it's pretty unintuitive, especially for people who don't recreationally read blogs about phones (hi!). 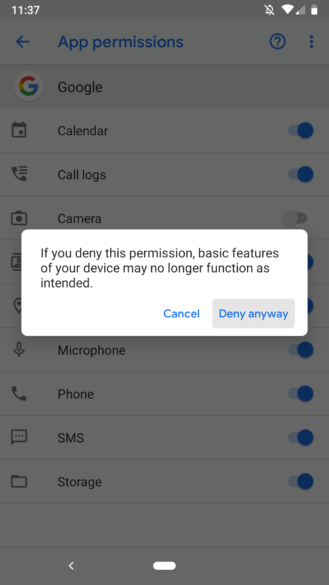 Two, as the warning dialog says, "basic features of your device," like holding the home button (or squeezing your phone, if you have a Pixel 2) to activate the Assistant or tapping the microphone to search by voice inside the Google app, won't work. There isn't necessarily anything nefarious about any of this, mind you; ostensibly, your phone is always listening for your convenience. 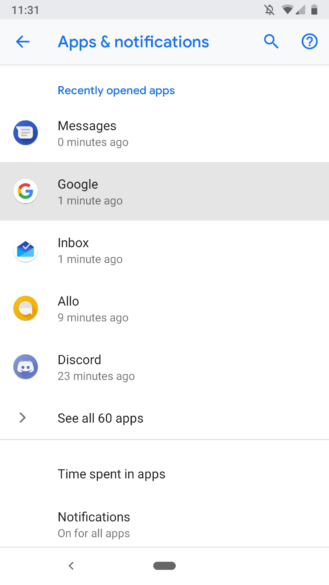 What's more, you can review and delete the audio recordings Google has of you (along with basically anything else you've ever done) on a page Google calls My Activity. But it's frustrating that our options as users boil down to our devices never listening — even if we want them to — or listening whenever they please, without any middle ground. It stands to reason, though, that if we sacrifice some privacy for convenience, we also have to sacrifice some convenience for privacy.